Genie Gateway filed patents on technology to convert any cell number into a reloadable gift card, within 5 minutes. 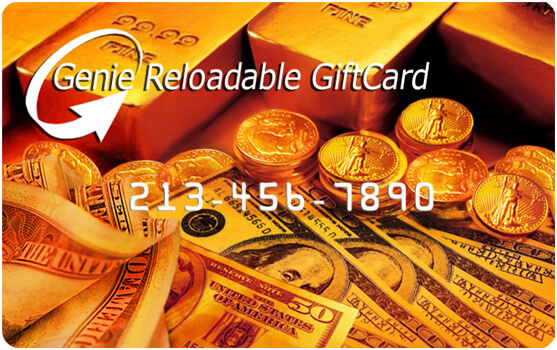 Consumers can now use their cell phone as a powerful, reloadable gift card. The Genie GiftCard leverages several of Genie Gateway’s existing inventions to create the most robust Virtual GiftCard in the industry! It combines the best of two worlds; closed loop peer-to-peer (P2P) real-time payments and open loop payments, where a GiftCard holder can both send and receive payments, face-to-face, online, or by phone, from anyone with an email address and a checking account, at any bank in the United States. GiftCard customers can use their cell phone number as a single identifying numberto establish a business connection to any firm, person, organization or entity and to conduct a wide variety of communications and transactions with those parties with complete security.